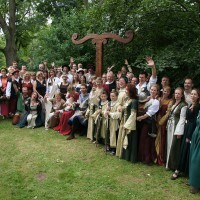 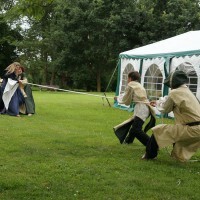 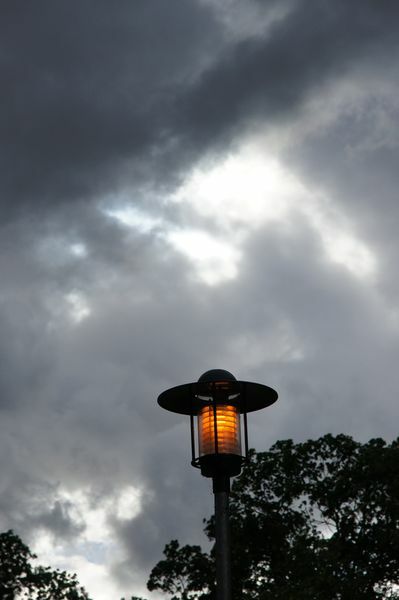 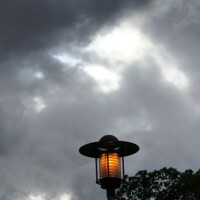 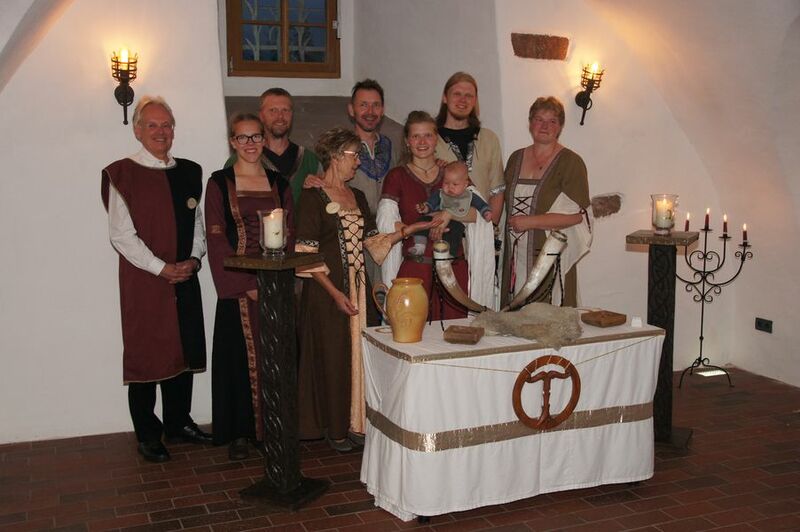 At quite stormy weather 73 guests and 25 of us met in Southern Lower Saxony. 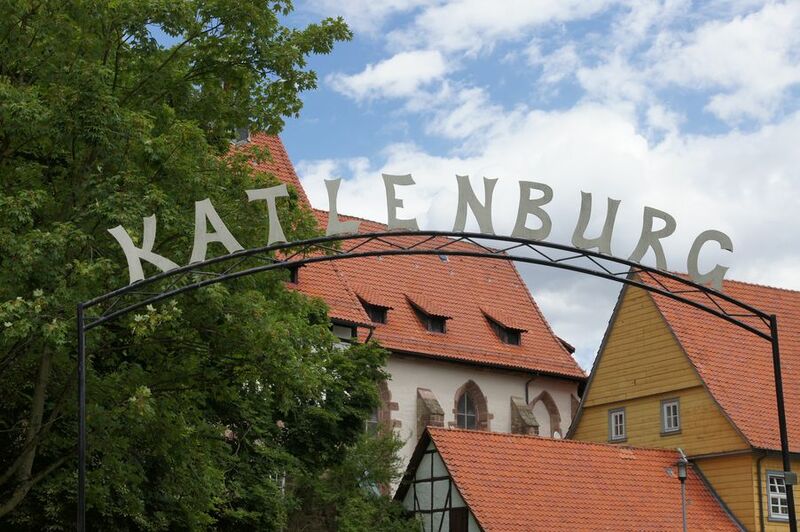 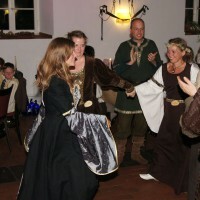 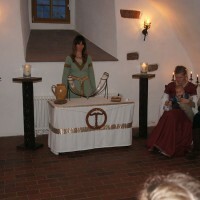 At Katlenburg Castle, located between Göttingen and Northeim, Vanessa and Frank swore eternal loyalty. 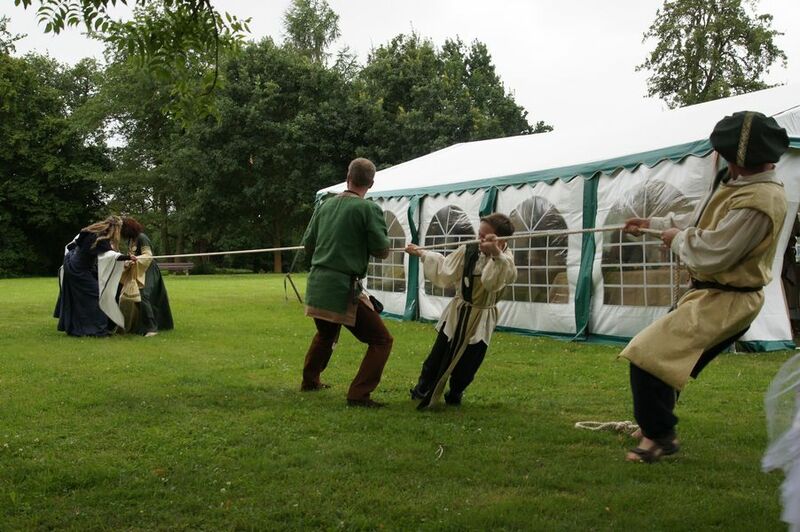 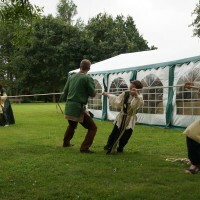 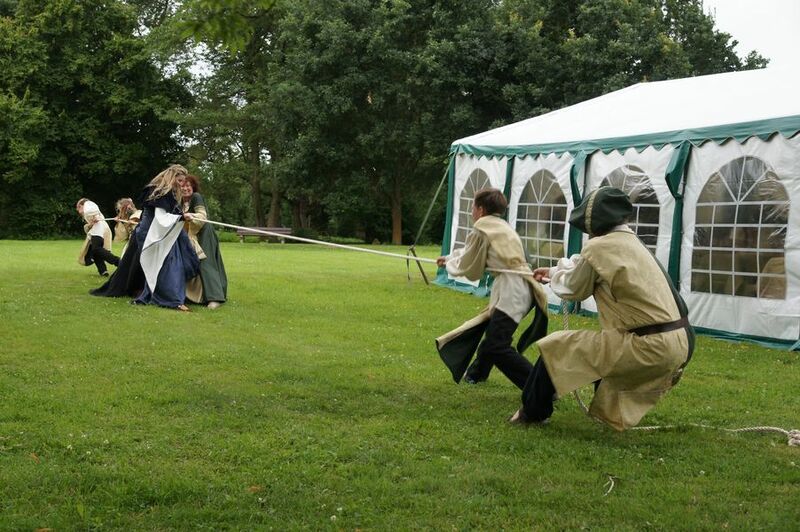 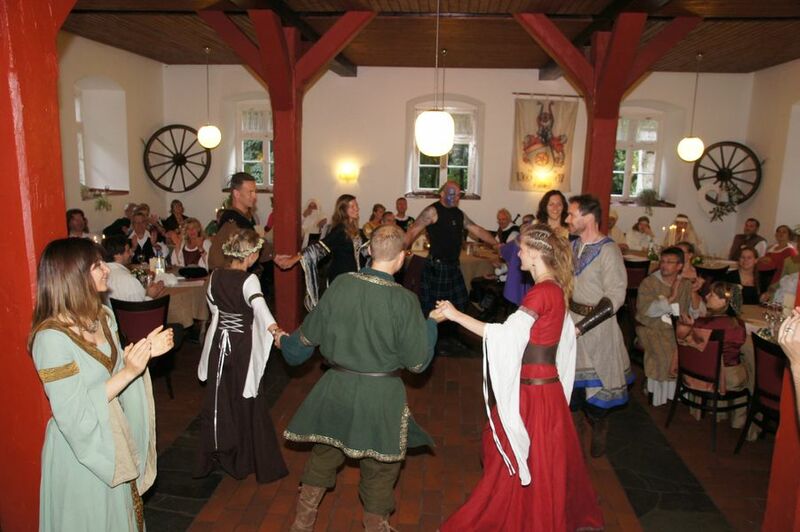 After the ceremony there were horseshoe throwing, tug of war and folk dances with Eheleite. 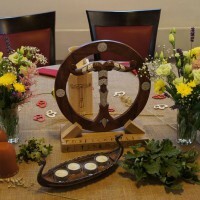 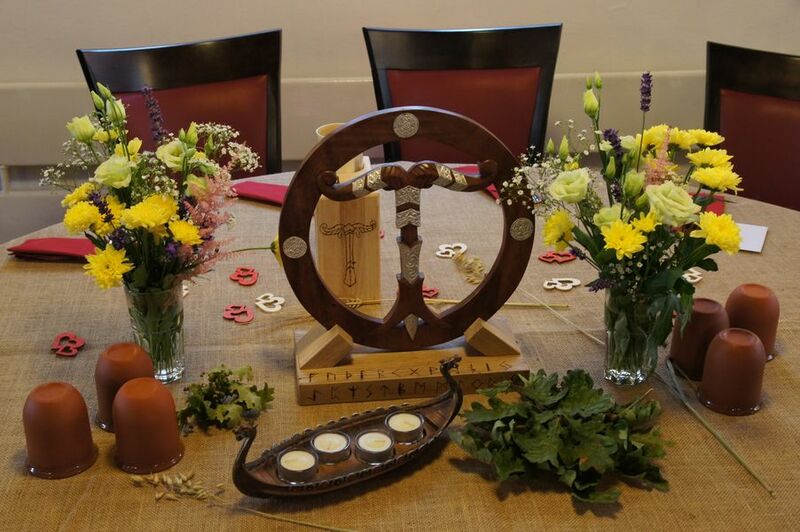 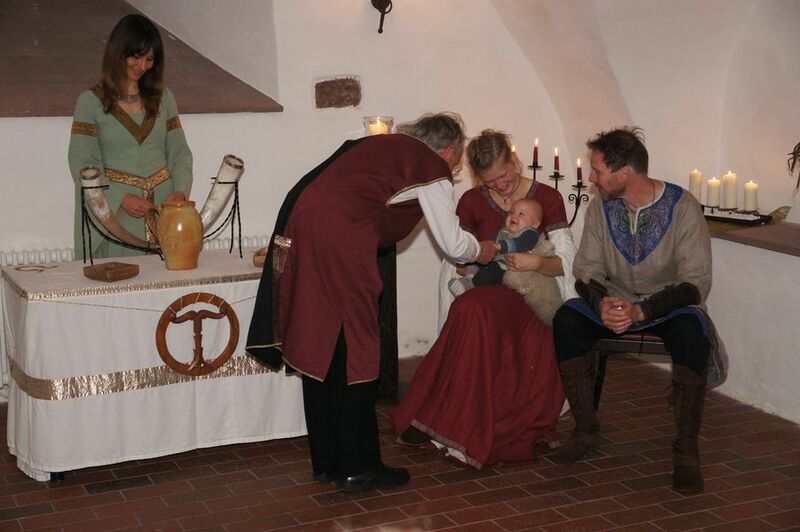 For son Felix, who was born in March, we carried out a name-consecration within the closest circle. 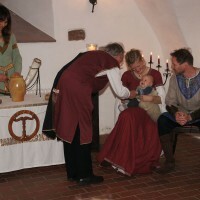 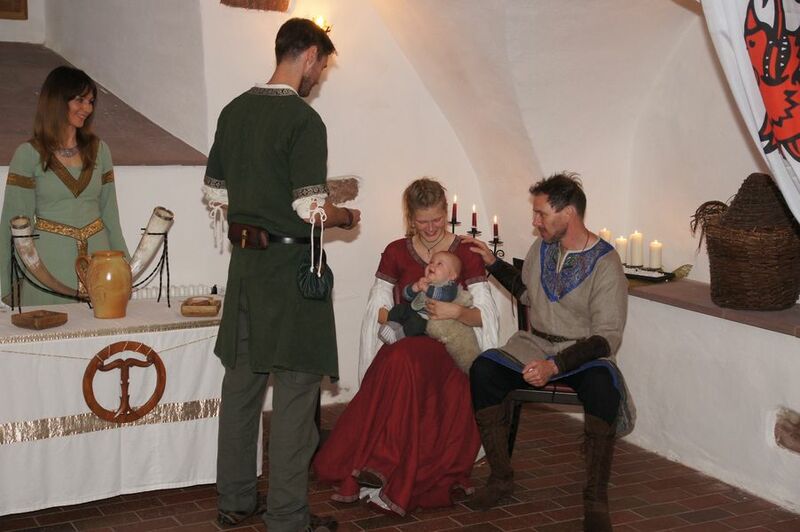 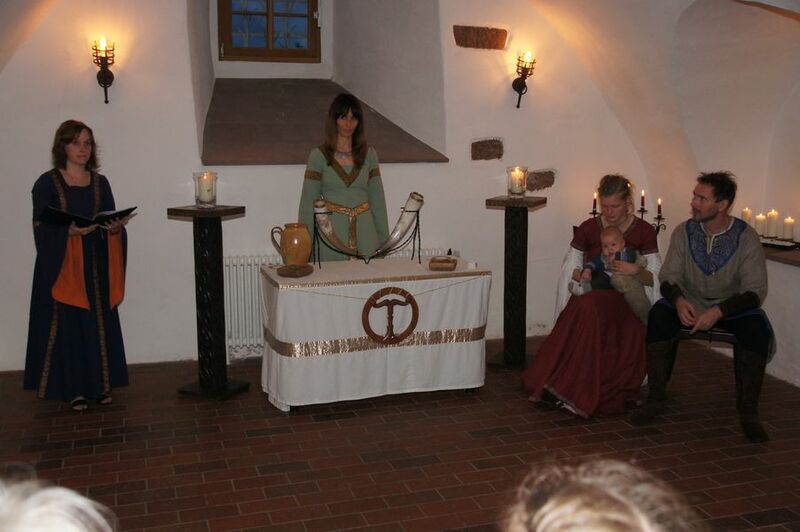 The vaulted cellar of the Castle formed the intimate setting for the name ceremony. 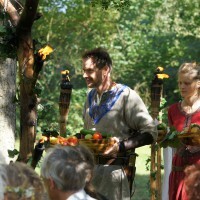 Baptizand Felix happily welcomed all four elements and gleamed with joy throughout the whole ceremony. 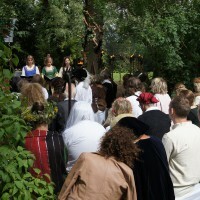 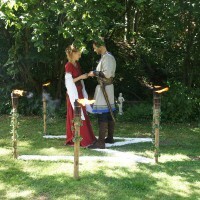 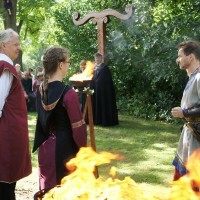 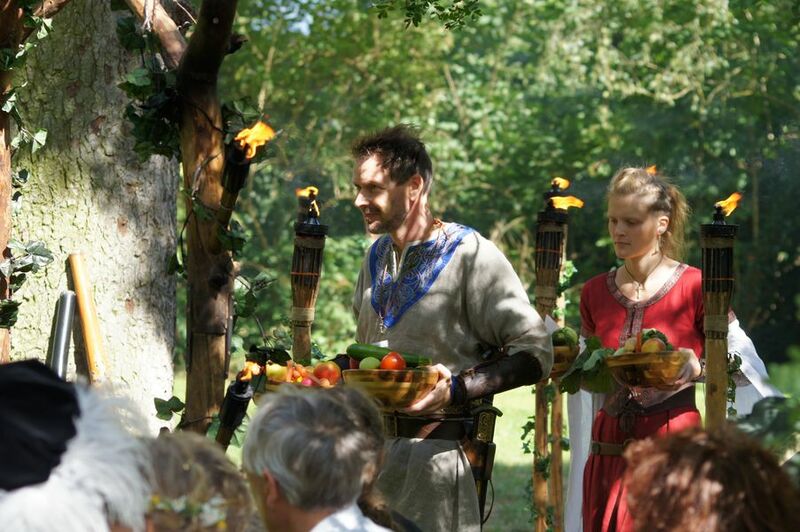 For the conclusion of the wedding day a jointly flame celebration had been planned. 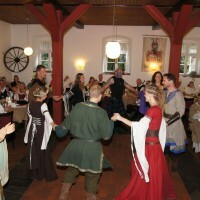 Due to hurricane force winds, however, we decided to dance a few more rounds, while the storm gods howled and raged outside. 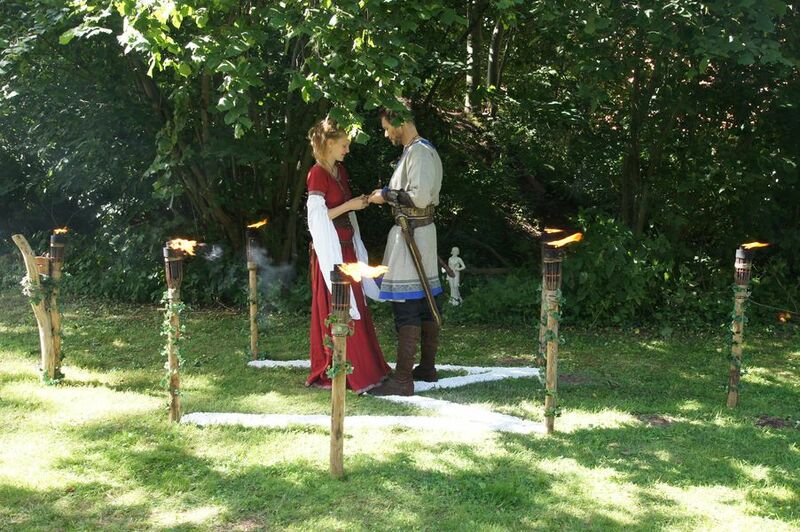 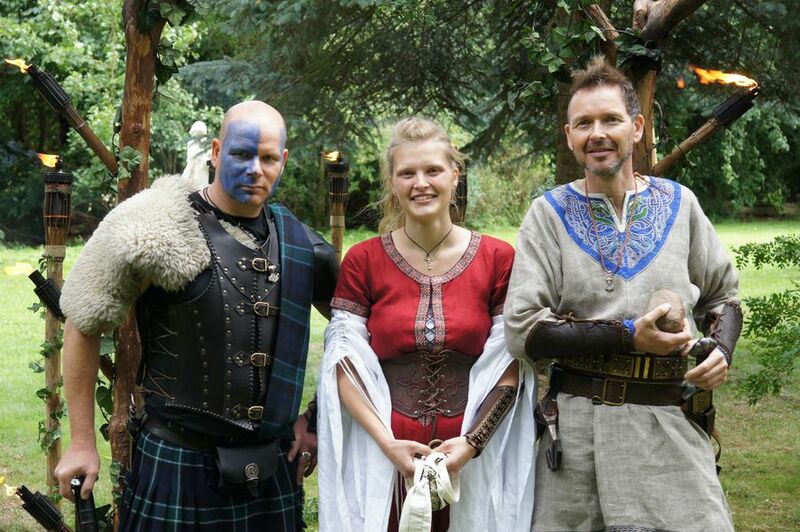 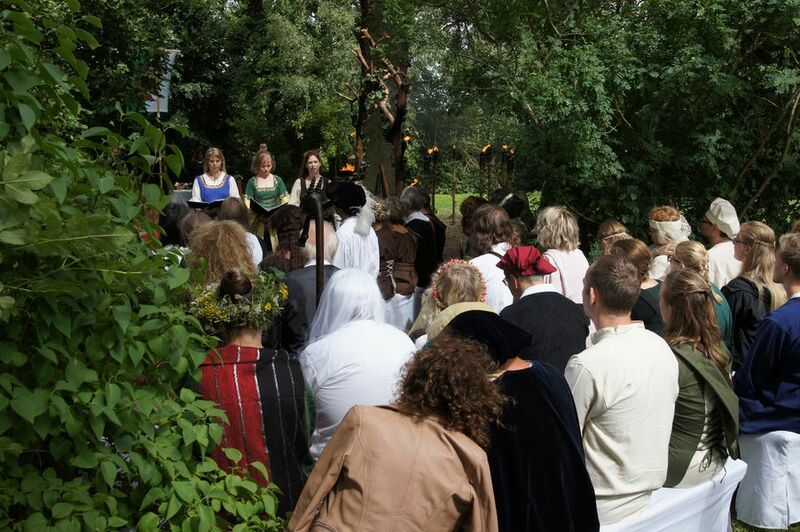 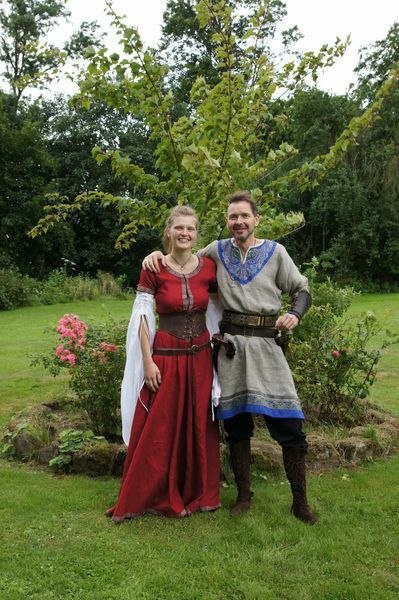 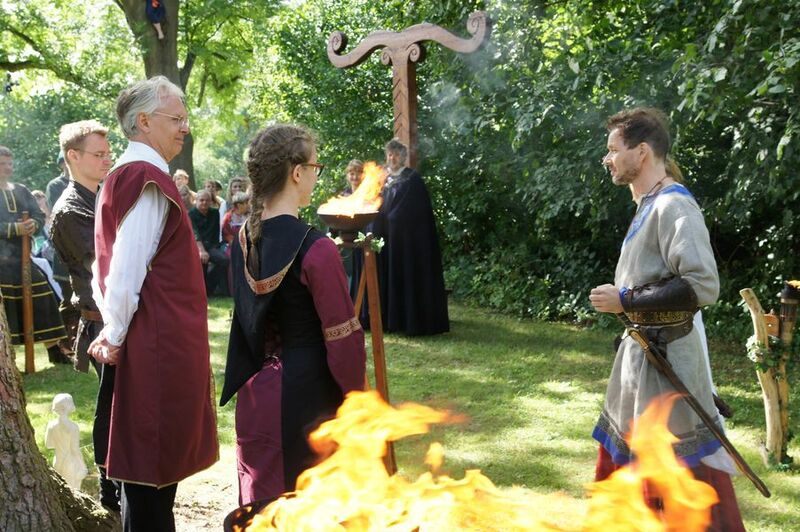 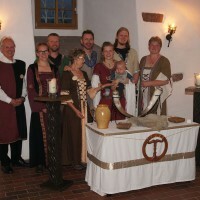 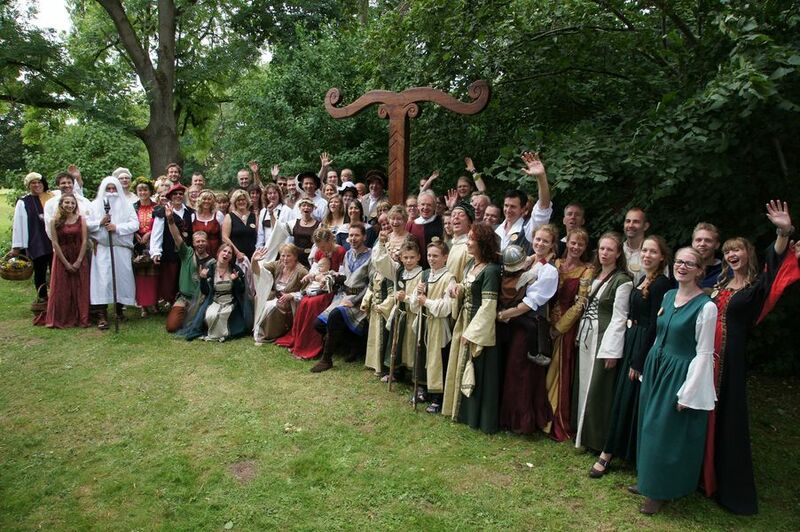 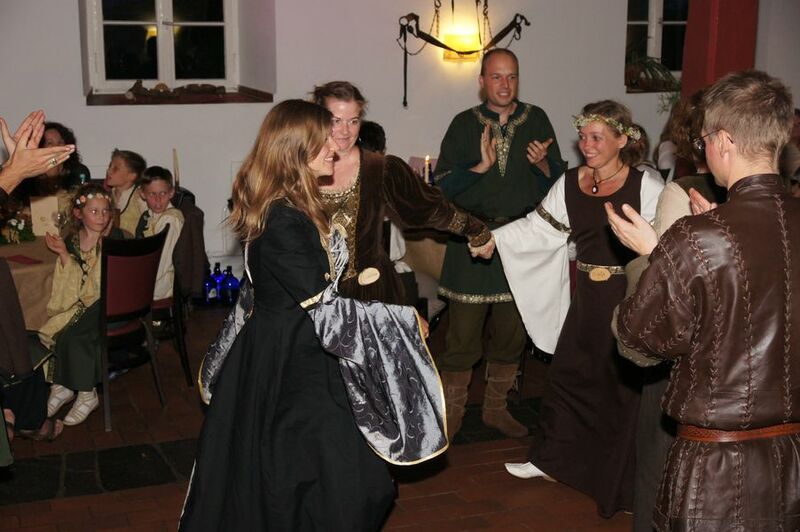 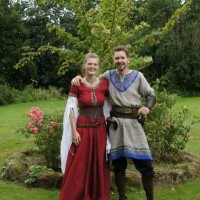 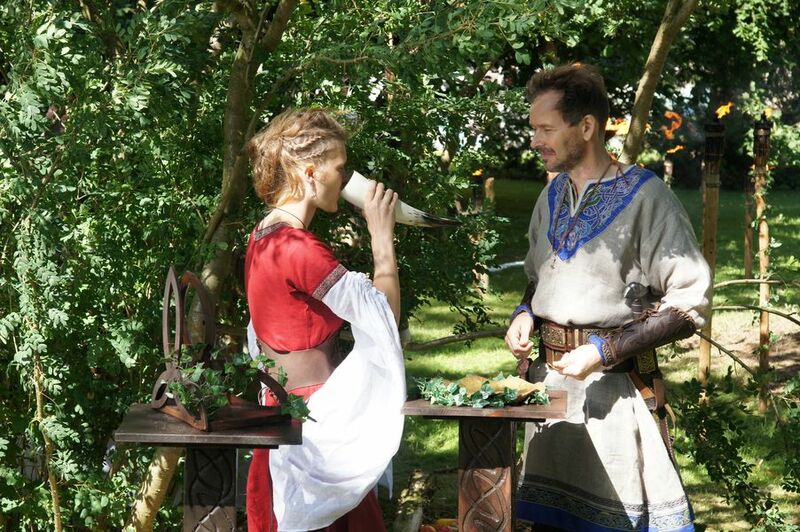 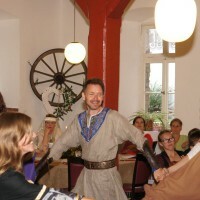 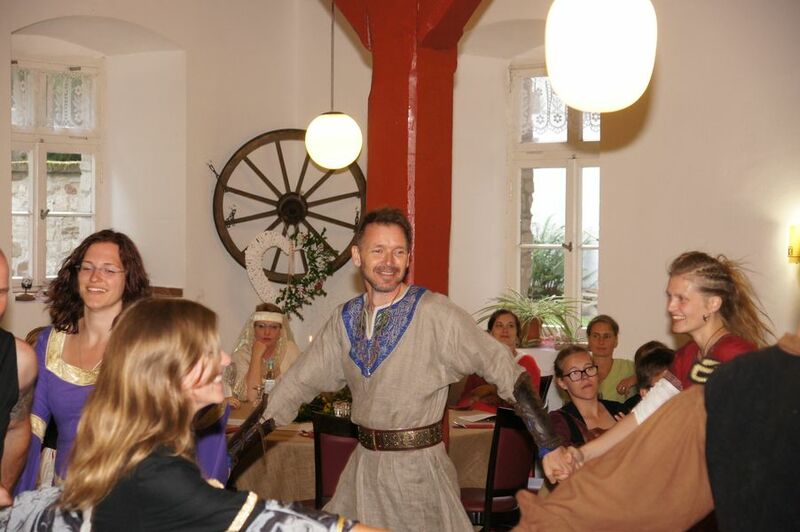 We say thank you to you dear people, who arrived from all over the country and even from Canada and the Baltic States, to experience Frank and Vanessa’s pagan wedding with us. 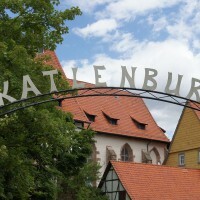 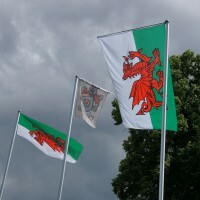 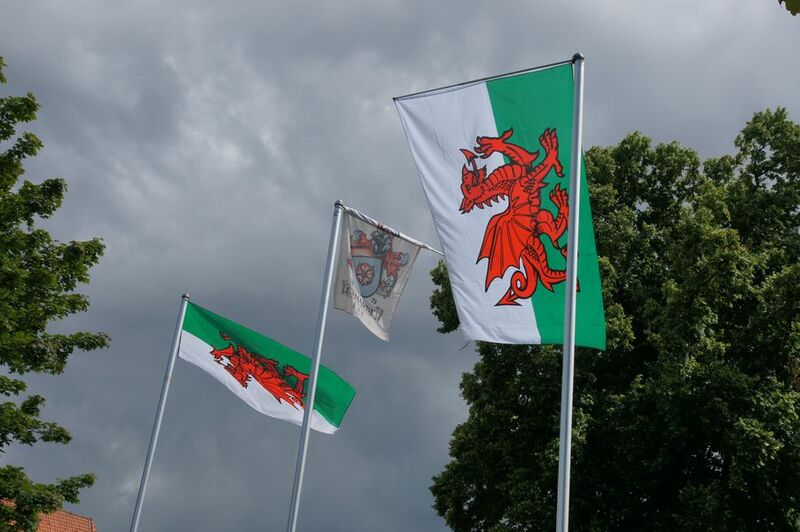 It was great fun for us to be here at the Katlenburg.